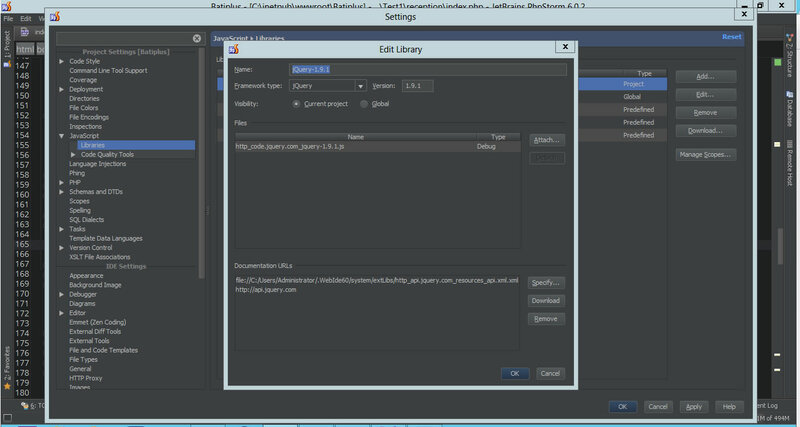 I work with PHPStorm6 and I can't get the offline documentation of jquery. But I can't get the offline documentation yet. 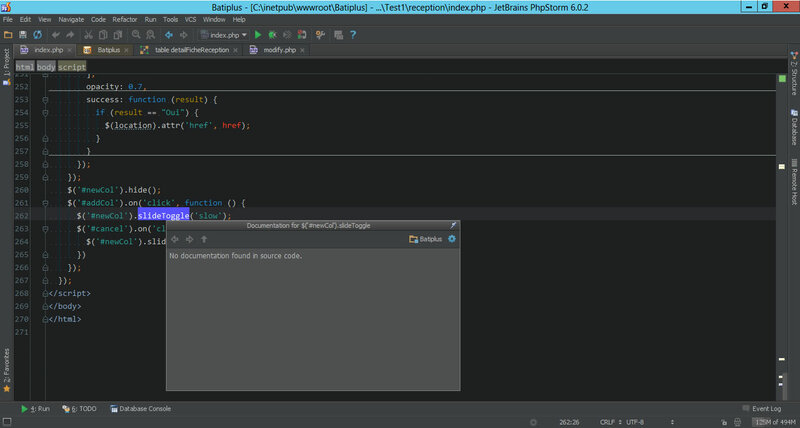 Please help me, I really need it, I used it well in NetBeans7.3 but am in love with PHPStrom since I have switched to him. I join the screenshot you ask. i download the jquery librairy and the documentation for an offline usage but it still won't work. What can I do to get rid of that? Thanks for update! The configuration looks ok.. The completions doesn't work at all for jQuery functions, When I press Ctrl+Q, the pop up show nothing as you can see in the screenshot. 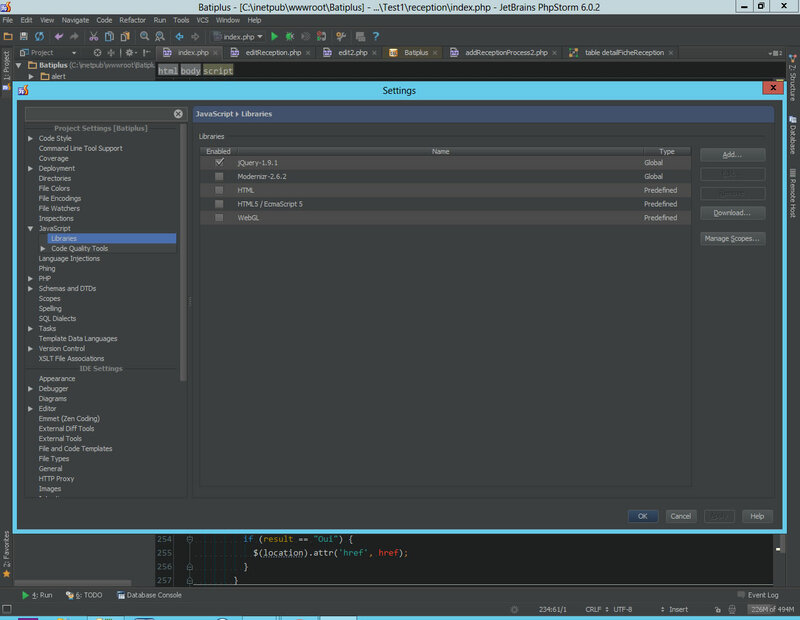 What can I do to get rid of that, It's work perfectly fine in Netbeans but I don't want to switch there. hmm... When you put cursor on slideToggle() and hit Ctrl+b, what file(s) will be opened? Yes I have two jquery librairies in my project. But how can I refer to the one which is in the External Library in my HTML file ? Note that you should not refer to your WebStorm external library in your HTML - a link in HTML is for your browser, and external libraries in WebStorm are for WebStorm (for error highlighting, completion, quick doc, etc).